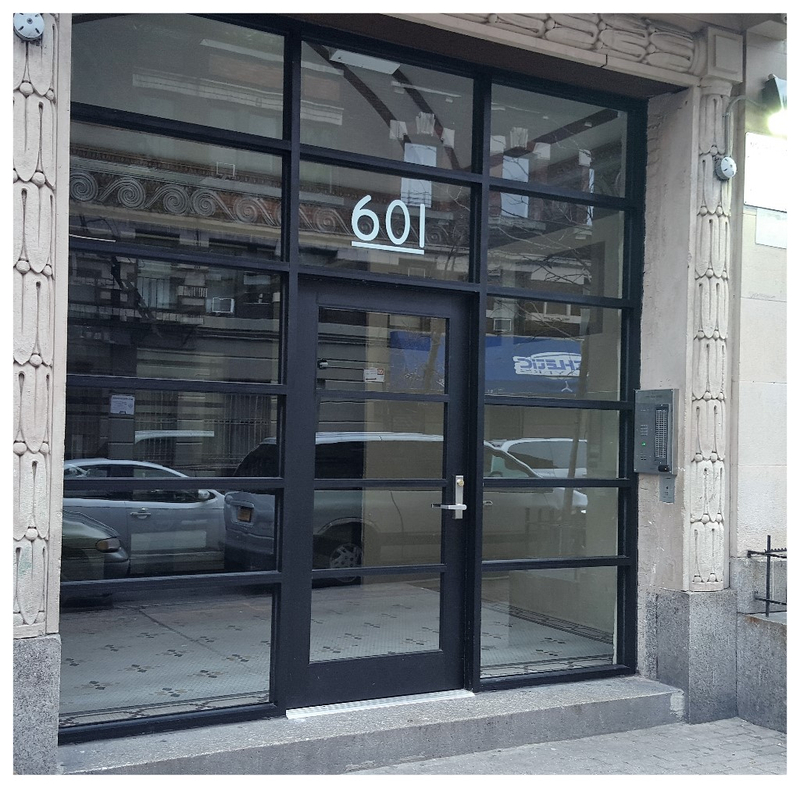 Standard Entrance are designed as a single-source package of door, door frame and hardware that is easily adaptable to custom requirements. Designed to complement new or remodel construction, modern or traditional architecture, they are engineered, constructed and tested to make good first impressions while withstanding the rigors of constant use by occupants and visitors. Is engineered for moderate traffic in applications such as stores, offices, and apartment buildings. Vertical stile measures 2 1/8 inches; top rail 2 1/4 inches and bottom rail 3 7/8 inches. Result in a slim look that meets virtually all construction requirements. Provides extra strength for applications such as schools, institutions and other high traffic applications. Vertical stiles and top rails measure 3 1/2 inches. Bottom rail measures 6 1/2 inches for extra durability. Creates a monumental visual statement for applications such as banks, libraries and public buildings. Vertical stiles and top rail are 5 inches; bottom rail measures 6 1/2 inches. Results in superior strength for buildings experiencing heavy traffic conditions. Heights vary to 10 feet; widths range from approximately 3 to 4 feet. Door frame face widths range to a maximum of 4 inches, while depths range to 6 inches. Door operation is single or double-acting with maximum security locks or Touch Bar Panics standard. Architect's Classic one inch round, bent bar push/pull hardware is available in various finishes and sizes. Infills range from under 1/4 to more than 1 inch. 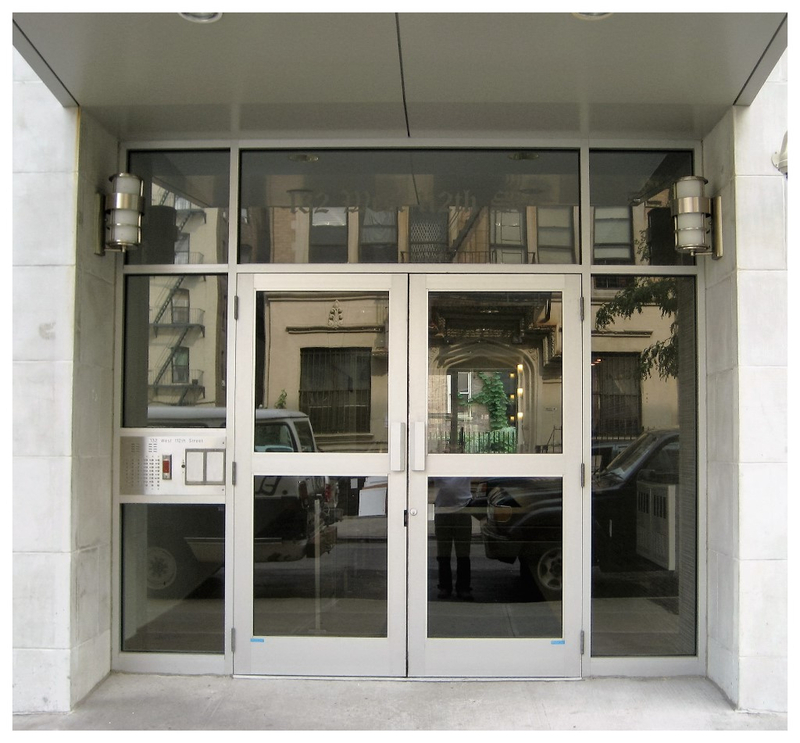 To resist both lever arm and torsion forces that constantly act on any door, all three entrances feature dual moment corner construction with Sigma deep penetration and filet welds plus mechanical fastenings at each corner a total of 16 welds per door. Each door comes with a Limited Lifetime Warranty, good for the life of the door under normal use operation. It is transferable from building owner to owner and is in addition to the standard two-year warranty. Sealair bulb neoprene weather- stripping forms a positive seal around the door frame and provides a substantial reduction in air infiltration, resulting in improved comfort and economies in heating and cooling costs. The system is wear and temperature resistant and replaces conventional weathering. Bottom weatherstrip at the interior contains a flexible blade gasket to meet and contact the threshold, enhancing the air and water infiltration performance characteristics. Lockset shall be MAGLATCH, model # 9030 (or #9032: Heavy Duty Model), as manufactured by Securitech Group, Inc., or approved equal. Lockset shall be a heavy-duty mortise lockset which contains a 3/4" deadlatch. Interior exiting shall be by depression of a lever handle. Exterior unlocking shall be either by a key and depression of the lever handle or through an interface with the intercom or card access system, which shall send an impulse to momentarily release the lever handle, allowing it to be depressed and retract the latch. 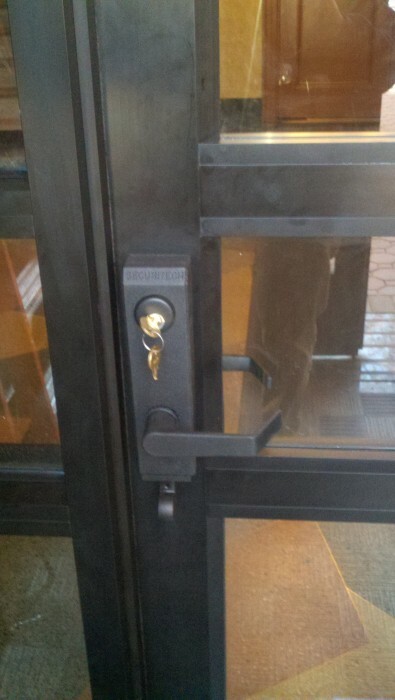 The exterior shall always be in a "Fail Secure" mode: key is always required for entry. Security is maintained in the event of a power failure. Exiting shall be possible at all times with a single motion or action and is "Fail Safe". Power is not required for exiting. CYLINDER: Mortise Cylinder Required (By Others).